Volunteering in the Fire Department is a unique experience that can be as rewarding and educational as you choose to make it. Motivation, dedication and professionalism are qualities that succesful volunteers must possess. Members of the Hoisington Volunteer Fire Department not only possess these qualities, but are continuously seeking to further their knowlege and skills as well. The Hoisington Fire Department has approximately 18 active volunteer members on the department. 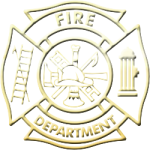 The Hoisington Fire Department has been serving the City of Hoisington and surrounding communities with fire and rescue protection since the early 1900's.